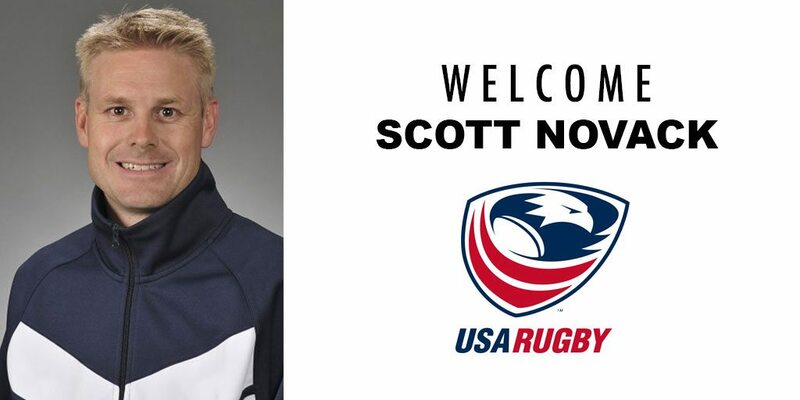 LAFAYETTE, CO. - USA Rugby has appointed Scott Novack as Program Operations Manager for the Men's Eagles Sevens, bringing more than ten years of Olympic experience to the team and its staff. Novack, has served as High Performance Team Manager with various National Governing Bodies for three Olympic Games including Beijing 2008, Vancouver 2010 and Sochi 2014. He returns to USA Rugby as the main point of contact for the Men's Sevens' tours, Rugby World Cup Sevens and other HSBC World Series administration. Through his more than 18 years as a sport administrator, Novack has managed Olympic and national teams who have achieved eight Olympic medals, seven World Championships and over 60 World Cup medals; while structuring Coach and athlete development pathways for multiple Olympic sports. Overall, Novack's wealth of experience brings extensive knowledge of high performance tour operations and facilities management to the organization. Novack previously served as Team Manager for the Eagles from 1999-2005, working with the U19 team and Coach Development programs before moving on to other Olympic assignments. Since his first tenure with USA Rugby, Novack has spent time in High Performance for USA Taekwondo (2005-07) and USA Bobsled (2008-14), as well as with the U. S. Olympic Committee's Modern Pentathlon where he implemented the 2008 Beijing Olympic Games preparation plan, which incorporated logistics for five different sports. "We look forward to having Scott back on board at USA Rugby to help Mike Friday, players and our Men's Sevens staff continue to evolve operationally and strategically," said High Performance General Manager Alex Magleby. In addition to the Men's Eagles Sevens, Novack's responsibilities will include collaboration with USA Rugby's national office to manage logistics and program operations for Collegiate All-American Sevens, High School All-American Sevens and Youth Olympic Games. As Operations Manager, he'll be pitch-side at tournaments and support the direction of all internal communication with sevens players and team staff members. "Having started my career with USA Rugby, it is a huge honor to come back and work with the Men's Sevens program," describes Novack. "I look forward to working with Coach Friday and the team to achieve our goals and grow the game. It feels good to be home." Novack's first series assignment will be the Emirates Airline Dubai Rugby Sevens Tournament, part of the HSBC World Rugby Sevens Series. The Men's Sevens Eagles will face Argentina, Samoa and New Zealand in pool play (Pool D) on Dec. 1, featured live on World Rugby TV.